A few years back I switched to using SLS & SLES free shampoos and that has changed my hair completely. Thin hair runs in the genes so I had to look out for products, methods and techniques to maintain the texture and volume of my hair. The Nature's Co is PETA certified Cruelty-free and contains natural ingredients. The surfactant used is derived from coconut. You can read more here. I have used Nori Hair cleanser and I did like it. I want Lush to relaunch in India, I have my Wishlist ready. I went in to purchase Lush Angels On Bare Skin at Phoenix Market City, Kurla and It was shut down. I remember it was December. And I did read they will be relaunching. But it is mid-2017, where are you Lush?! Lush Shampoos contains gentle surfactants such as Ammonium Laureth Sulfate and Sodium Alkyl Sulfate (SAS). The shampoo bars are for sensitive scalps. There are so many variants! I want Ro's Argan and Jason and the Argan oil! This is the most amazing refreshing smelling shampoo ever. A soft scent but my hair were so soft. I wish this was available at Sephora India. 5ml samples were that! But my hair did turn greasy in a day. I never repurchased this after 2012, I honestly felt the ingredient list was missing, perhaps. This does contain same surfactant base Ammonium Laureth Sulfate as Lush. I did try only Protein Shampoo and I think it did make my hair feel a bit thicker? I think I am going to get one again. This is the cheapest SLS free shampoo available. Rosemary and Lavender Shampoo bar is my favourite for life. I always stock up on those and always find them when I do not like any new shampoo I am testing. This one's a friend I can always lean on. Sandalwood Geranium Shampoo bar dries out my hair and scalp and Let your Hair down shampoo makes my hair greasy pretty quick. I have criteria for liking shampoos, two days down and no grease; a keeper! fragrance. I love the Rose and Jasmine Cleanser. Maybe it will bloom Rosier than Jasmine. And is formulated without SLES (Sulphates), Parabens and Petrochemicals. These are on my to-try list. I would love to try the Lavender Soulflower Shampoo bar, but my hair is really long which makes strong smelling shampoos too much for me. How intense would you say the smell is? Great list and himalaya is my favourite as its free of chemicals. but would surely like to try others too especially lavender one. 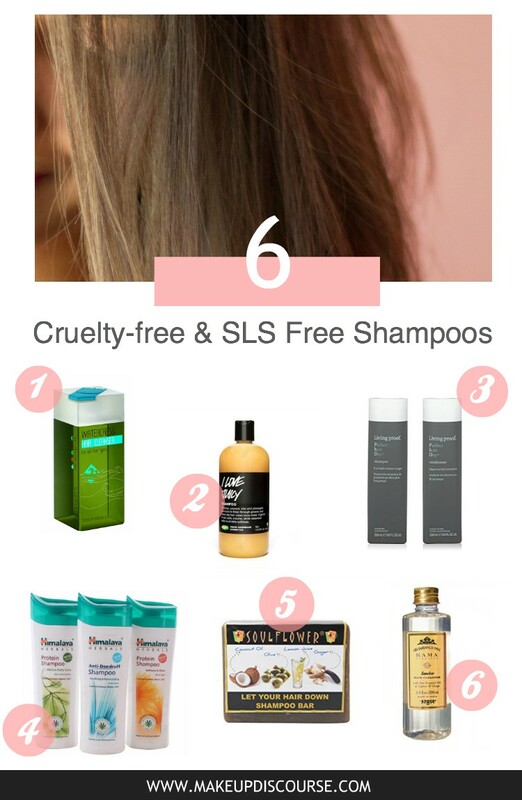 I'm not sure what SLS or SLES is, but it's great that you've found cruelty free products that your hair benefits from. I also have thin hair and have to rely heavily on products to give me more volume. I have to check these out! Since my hair is tightly coiled/curled I'm also looking for SLS free shampoo. Might I also suggest the co-wash bar from Lush. It works wonders for cleansing the hair without stripping it. I've actually never even really thought about whether my hair products are cruelty free. I'm usually so wrapped up in trying to find a product that actually works on my curls. It's so difficult. I may check out that co-wash bar that Aitza suggests, but I haven' had much luck with Lush's hair products. I am yet to find a shampoo that cleans up my hair and stay like that for at least 2 days. I am intrigued to try the Lush shampoo. I love this! And of course being cruelty free is the best way to go, I'll definitely be sharing this with my vegan friends. Hey! Girlie! Long time! It's a well researched post. I share the same hair like you. After moving back to US, I dedicated myself to Lush shampoo bars, Hask and recently got a set of Living proof to try. I am addicted to the Living Proof dry shampoo. On a side note, Matrix, Bed head ruined my hair and I only used them twice.